OK, I think I'm really confused right now. For some reason I was working with the default classic or Reno admin theme. h1 isn't used (or shown) there. With the latest UIKit admin theme, everything's OK. This is with the example data from but it works like a charm and is seemless responsive within the PW admin. Thank you for sharing your knowlegde! Hi @mr-fan, thanks for sharing this calendario demo. Would you mind to post the css tweaks you show in the example? but notice it is just a proof of concept - not browsertested - just some fast playing. Thanks bernhard for a very informative post. I do have a follow-up question though: How would i make the new panel / custom admin page accessible to a non-admin role? Currently it works great as superuser / admin using another role, logged in as a non-admin user there's only the "pages" tab, nothing else. The way I understand it, since it uses the "admin" template, I can't really manage access through template settings (?). I might overthink this though, anyone got an idea? Which of course i found 2 minutes after posting the question, but not during the hour of research before.. Does anybody know how I can add existing fields to a form? You can't add a Field object to a form, but rather an Inputfield object. Field::getInputfield() would come in handy here. Not a question but just a thank you @bernhard for your great tutorial. I was already amazed by Processwire's capabilities (at my beginner level) but this new tool is coming very handy for a current project I have but also future ones. Actually I may have a question: is there a way to execute a function before you exit a page ? I have a cancel button which brings me back to the previous screen, along with a notification warning that the adding process has been canceled, but would it be possible to do the same when clicking in a tree link for example ? When I was starting with PW years ago, I very soon looked at modules and all the Process modules that make the admin. So I never really needed a tutorial, just look and learn copy and try. It was so simple and since it's all in the same fashion using the already familiar API and "normal" modules. So you have a ton of modules Ryan has already built that make ProcessWIre backend you can use as examples/learning. Isn't it nice? which rights does a user role needs to have to access those pages? i have multiple user-roles, which can login to the backend and should work with custom pages. but if they try to access such a custom page, they get a 404 error, because they dont have access to it — it works if they have the superuser role though. but i dont want them to have superuser rights. They need to have the permission of the module and the permission of the page. If you don't assign any permissions the pages should be visible for all users. thats what i thought, but it didnt work. i had several custom pages and all been not accessible. then i added a permission to one(!) of them and reinstalled the module to make pw install the permission. 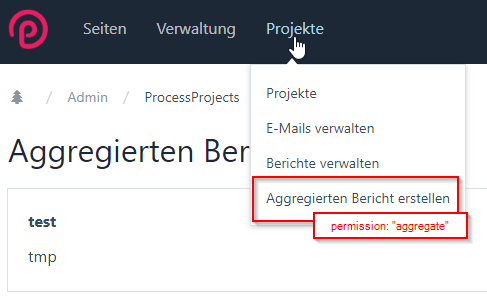 i don't fully understand what happend, but now every page is in default visible like you said, even if i remove the permission again. for me it works only if the custom page module gets a dedicated permission, otherwise if the user has no superuser role, he wont have access. but with the permission it works good. you want to reinstall the module to install a permission and you want to refresh the modules cache after you add a permission to another module. it does not install a permission with a simple module cache refresh. thanks for the quick replies bernhard, much appreciate.